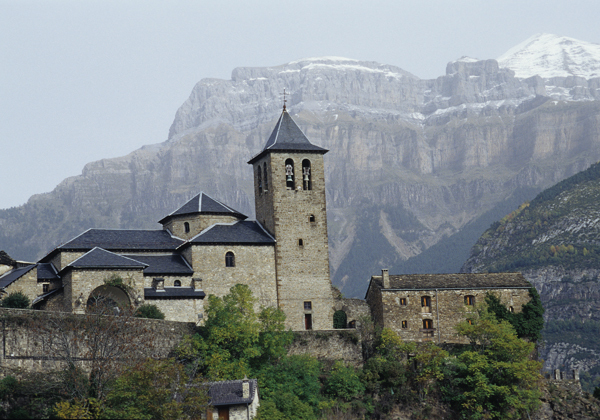 This town with a markedly medieval feel first appears in a document, the cartulary of St. John de la Peña, in 1079. This medieval spirit is particularly evident in the defensive enclosure, next to which the parish church was built. The network of its streets today reveals the excellent work done in subsequent centuries, with careful thought given to the urban development around the original nucleus. One long street widens to form two squares with side roads running off them. 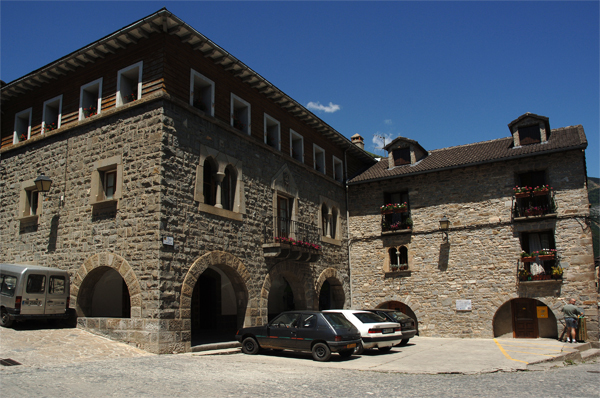 Along this street are some particularly impressive houses such as Casa Ruba, Casa Pintado, Casa Lardiés, Casa Bun, Casa Sastre, Casa Oliván and Casa Viu, which feature a large number of notable elements such as geminate windows, coats of arms. colonnades and a whole host of decorative features, a reminder of the village's late medieval and Renaissance past. 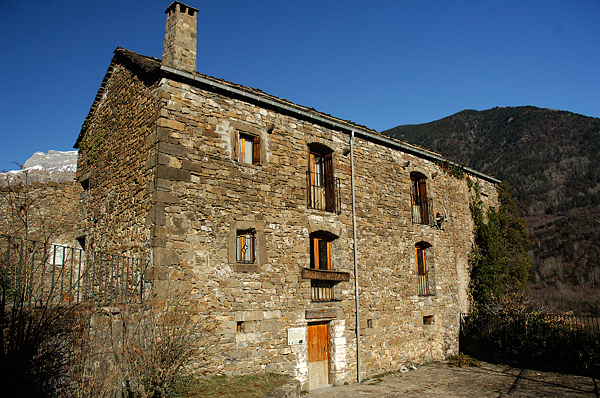 Most of these buildings date from the 16th century. Other places to visit in Torla include the Shrine of Santa Lucía (16th century) and the Church of El Salvador, again 16th century but completely remodelled in the 18th century. Inside is an interesting altarpiece in gilded wood dating from the 18th century, one of the few such altarpieces in Sobrarbe to have survived the Civil War. From this town you can see the full extent of this part of the valley, surrounded by the enormous masses of Mondarruego, Diazas and Mondiniero. 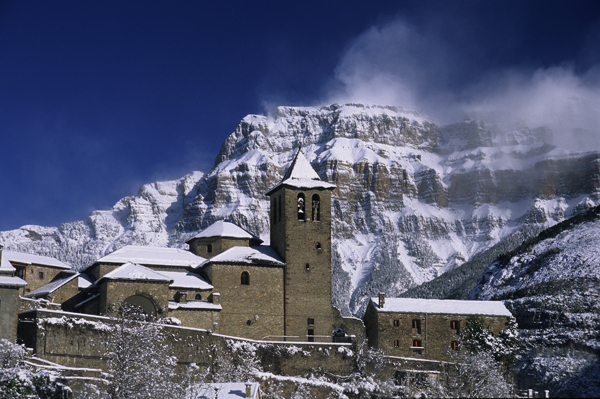 Few images of the town have been published as often as the one of the parish church with the slopes and summit of Mount Mondarruego in the background. 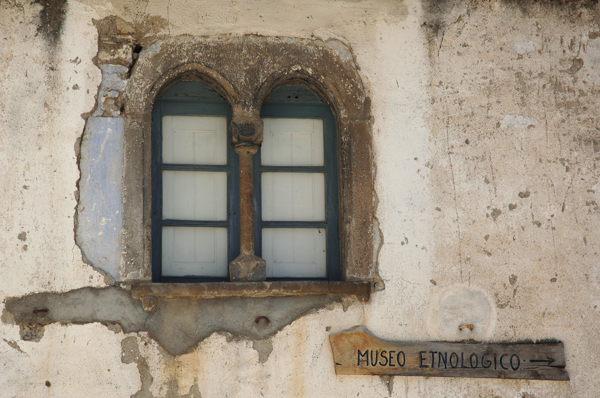 The Ethnology Museum is housed in the former abbey next to the church. 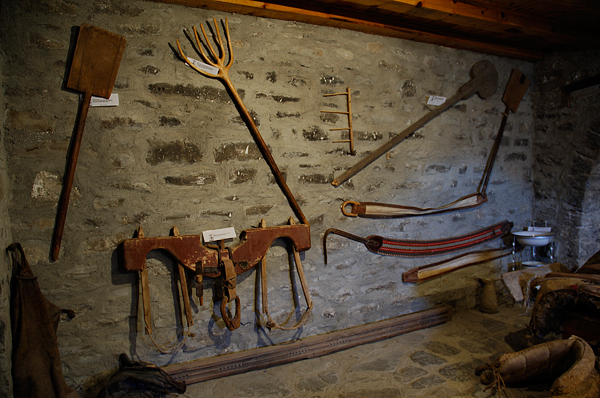 The museum contains a hundred or so objects related to daily life, animal husbandry and forestry work in the high mountains. 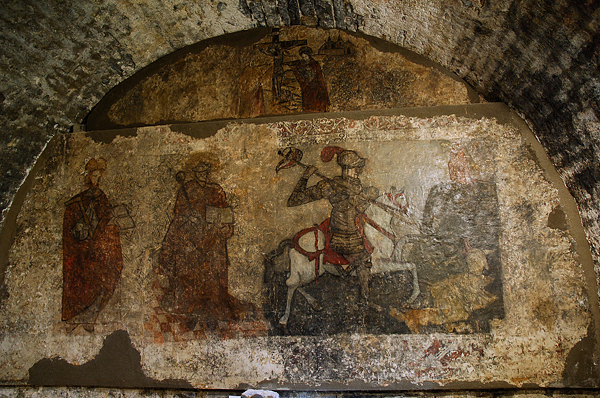 The basement contains some curious murals painted in the 16th century.